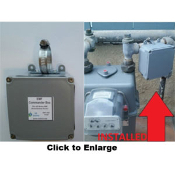 FYI – Most homes need ONE Commander Box but some challenged homes need two Boxes such as ones with: Solar Panels, Cell Towers or very large Powerlines less than 1/2 block away, or an Electric Transformer very close to the home. (Dimensions: 4″ x 4″ x 2″) NOTE: This remediates entire home from EMF’s outside home, Smart Meter(s), cell towers, as well as TV’s, etc. BUT we recommend still getting Better ZZZ’s for your bed…as well as an Appliance Harmonizer for any Wifi or fan located near a bed, desk, or couch.